Are you in charge of a number of employees and need to get organized? Download this template to manage a group of employees with different shifts when you download this shift work scheduling template. This work schedule maker is a popular choice for businesses and managers who want to closely track employee schedules and times. Know exactly what areas will be covered and how many people you have on schedule during peak times. Our work schedule maker is one of our most popular templates and it’s available to download for free. Don’t lose track of employee hours or spend extra money by keeping employees on the clock during non-peak times. This weekly shift work scheduling template makes it easy to keep track of hours with just a simple glance. 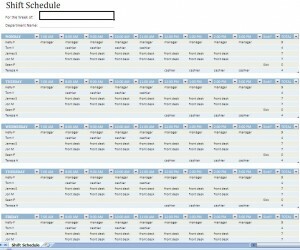 This work schedule maker is available instantly and ready to use as soon as you download the file. This is a top pick for small businesses and restaurants, shipping operations and retail establishments with a large percentage of hourly workers. This schedule can be organized by position and department, making it a versatile work schedule maker and the most popular free option on the web. With separate tabs and a drop-down menu, this work work schedule maker can handle any scheduling task, but remains super simple to use and maintain. This work schedule maker can be printed easily and hung on a wall for all employees to see. 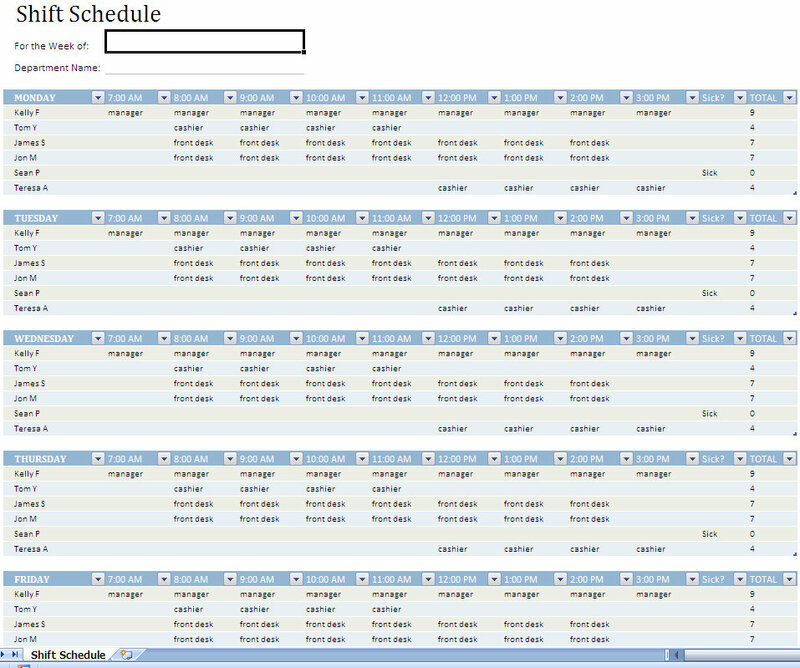 If you enjoy using this work schedule maker, please share this page on Twitter or Facebook. Help us spread the word and let your friends know about our free work schedule Excel template!